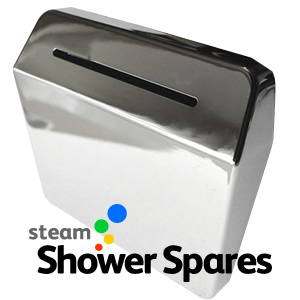 Soap Dispensers, Fans, Ozone Units, Speakers, Pressure Equalising Valves, Clips, NRVs, Chrome caps and a whole lot more. 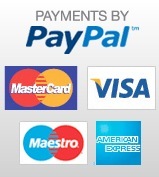 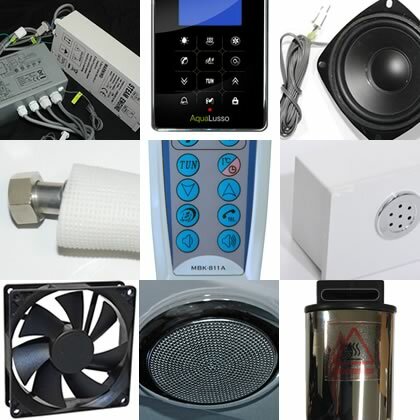 We have a huge range of items that are not easily classified, so a search here might find what you need. 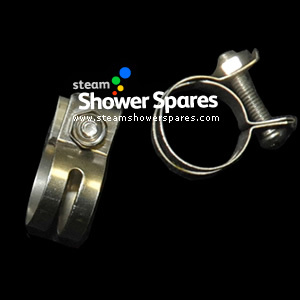 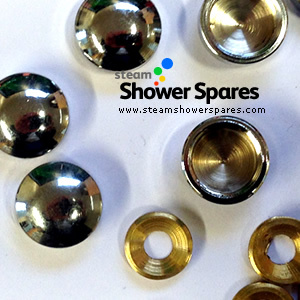 Chrome finished bath fillers for steam shower and whirlpool baths, Chrome finished shower valve dial knobs incase our become scratched or marked. 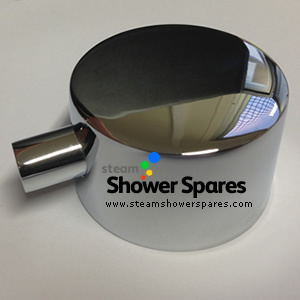 These are available for both the on and off chrome dial as well as the temperature dial on the thermostatic control. 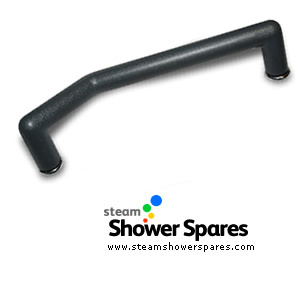 Padded grey towel rails, non return valve for the shower valve and ozone emission units. 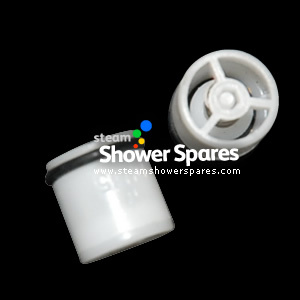 All our parts are compatible with may different shower makes and models, such as those sold by: Bathtek, Burnley Plumbing Supplies, Brownes Health, Insignia, Aqualusso, Indigo, World of Water, Bath Depot, Prestige Bathrooms, J T Spas, Lisna Waters and Constar to name just a few. 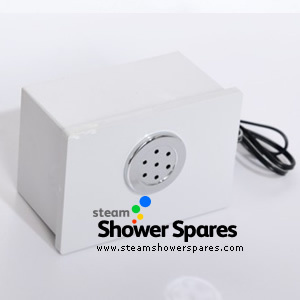 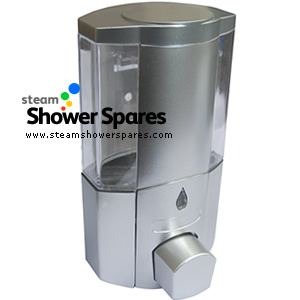 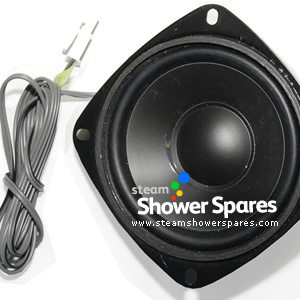 YL-18 AC Adpater for Shower Cabins. 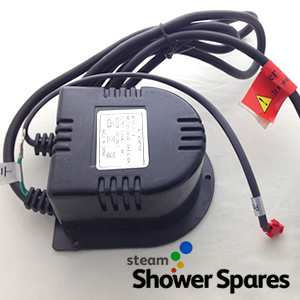 Comwes with mains power plug, Earth lead and plug to connect to corresponding control panel. 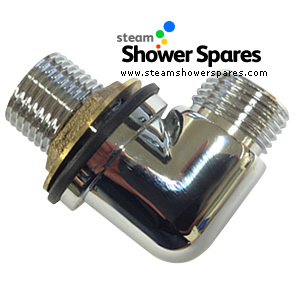 Set of 3 Shower Valve Plates in chrome finish with Divertor markings for a THREE output valve. 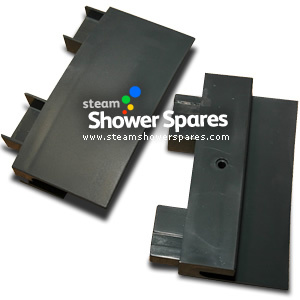 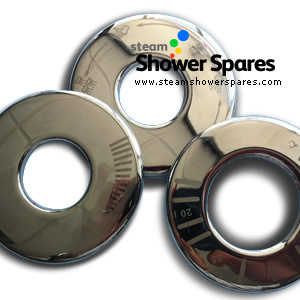 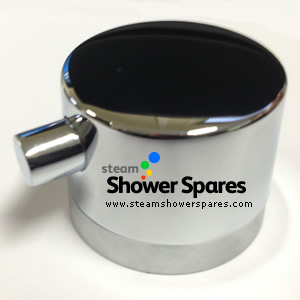 Set of 3 Shower Valve Plates in chrome finish with Divertor markings for a FOUR output valve. 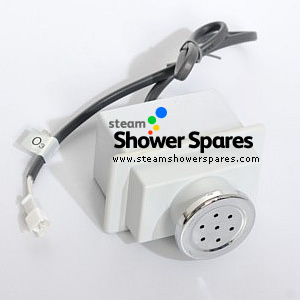 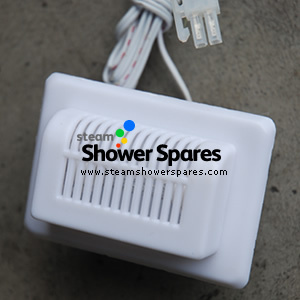 Ideal for Steam Showers. 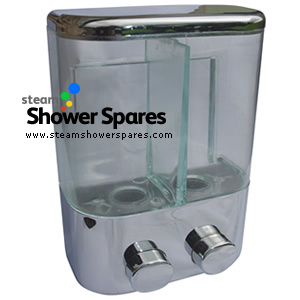 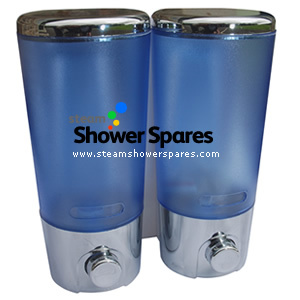 Twin Blue and Chrome finished punp action soap dispenser. 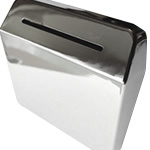 Chrome Finished and Clear Chambered Soap Dispenser. 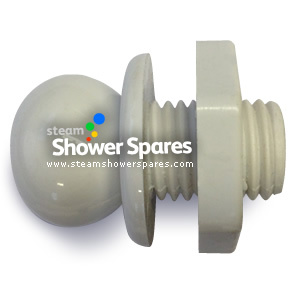 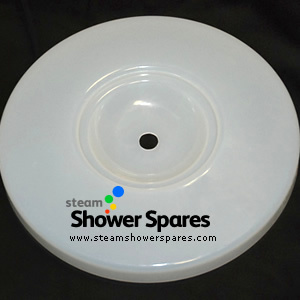 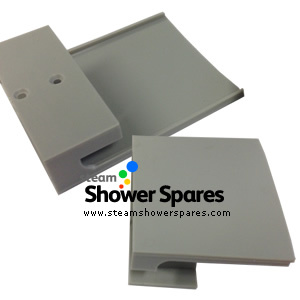 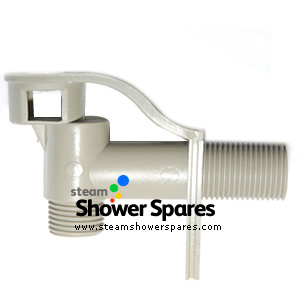 Light Grey Plastic End Caps for outer frame pillars of steam shower cabins. 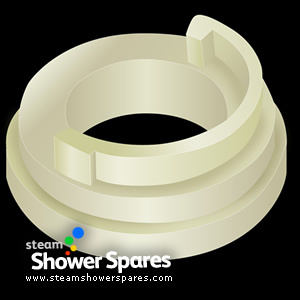 Set of 4 end caps for the outer frame uprights. 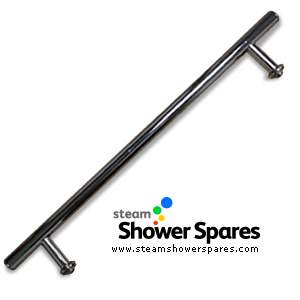 Chrome finished rail, T bar. 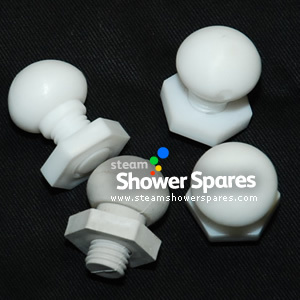 Set of 4 Back Rest Pad fixing plugs, push fitting type. 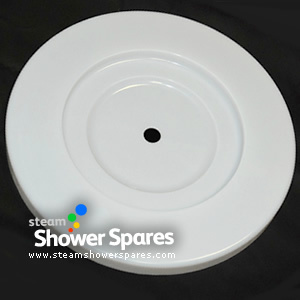 Chrome finished replacement shower valve dial. 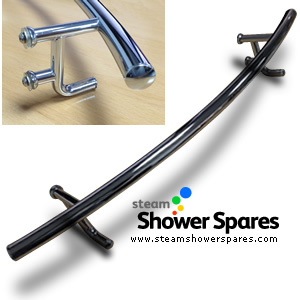 Water inlet to the lower part of the hand riser on Style 3 Multi Function Riser bar as fitted to AquaLusso Alto and Opus Shower models. 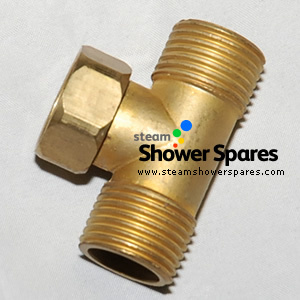 15mm Thread to Push-fitting Brass Elbow. 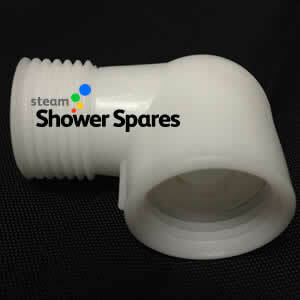 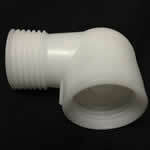 Ideal for grey water supply hoses on shower cabins. 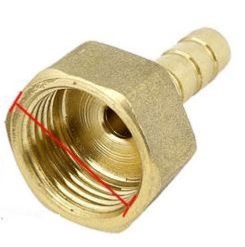 Brass Fitting (Push fit to Thread? 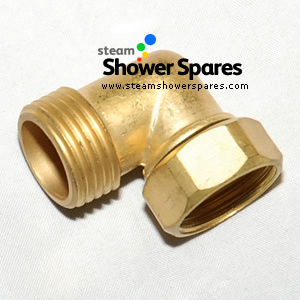 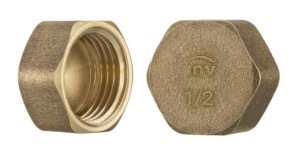 15mm Thread to Push-fitting Brass Fitting. 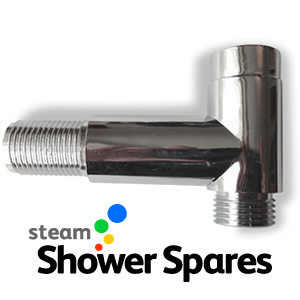 Ideal for grey water supply hoses on shower cabins. 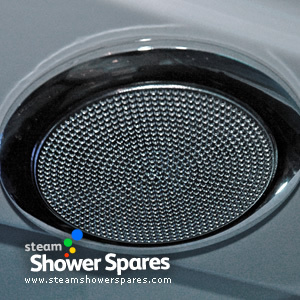 Chrome finished cover for the speaker or fan. 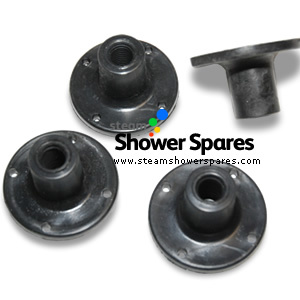 Set of 2 Push fit fixing lugs for a foot massager. 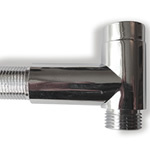 Chrome Finished Elbow with threaded 15mm ends. 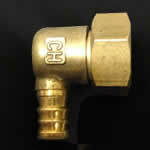 15mm Brass Blanking CapBrass T piece. 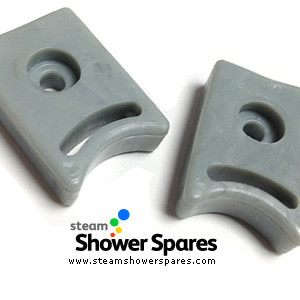 Set of 5 Shower Tray Feet. 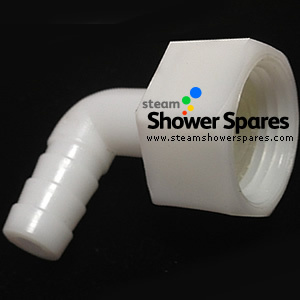 White Plastic Elbow connector with threaded connection on one end and push fit on the other end.